We are thrilled to announce that NBC’s longest running daytime drama Days of our Lives will be making television history next week by airing the first gay marriage (between two men) in soap opera history! 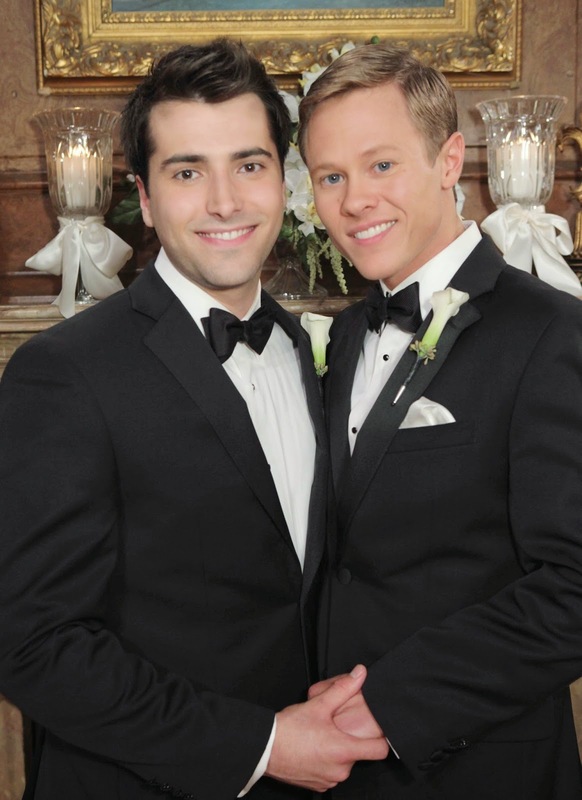 Starting on April 1st for three consecutive episodes, the fan-favorite couple Will Horton and Sonny Kiriakis (affectionately deemed “WilSon”) will tie the knot in a beautiful ceremony presided by a surprise officiant. In 2012 Will came to terms with his sexuality in powerful episodes that had audiences around the world captivated and rooting for the character to find love. The slow building romance of the beloved couple has captured the hearts and minds of viewers far and wide culminating in their engagement earlier this year. With great surprises in store and excitement building around this momentous occasion, audiences will be blown away by the powerful performances to come. This announcement comes on the heels of the show’s third GLAAD Award nomination for the storyline earlier this year. “Days of our Lives” is produced by Corday Productions Inc. in association with Sony Pictures Television. Ken Corday is the executive producer with co-executive producers Greg Meng and Lisa De Cazotte. Gary Tomlin and Christopher Whitesell are the head writers. Days of our Lives airs nationally on NBC and in over 25 countries internationally. The show has garnered 36 Emmy Awards, including most recently 2013’s Outstanding Daytime Drama, and numerous nominations, as well as multiple People's Choice Awards, GLAAD Media Awards, and Prism Awards.